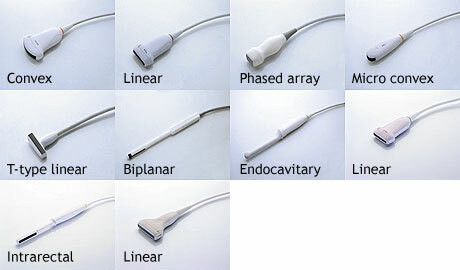 transducers including diagnostic linear array, curved array, endo-cavity, and phased array probes. compatible with the leading brands. ultrasound transducers, and excellent noise/interference immunity. by medical and engineering experts on both black-and-white, and color Doppler imagings.